mpl_toolkits.mplot3d provides some basic 3D plotting (scatter, surf, line, mesh) tools. 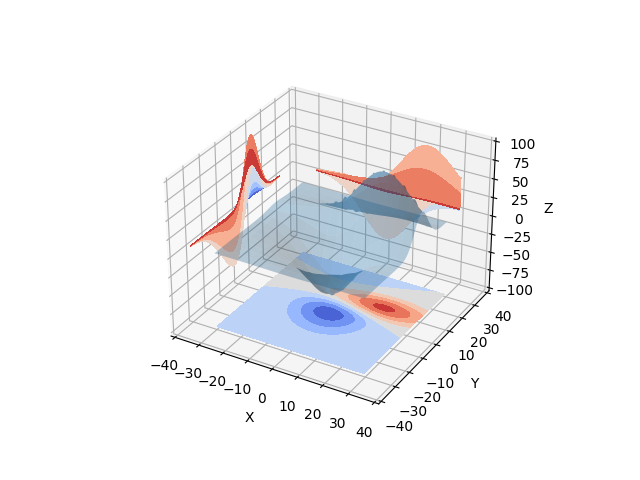 Not the fastest or most feature complete 3D library out there, but it ships with Matplotlib and thus may be a lighter weight solution for some use cases. Check out the mplot3d tutorial for more information. The mpl_toolkits.axes_grid1 toolkit is a collection of helper classes for displaying multiple axes in Matplotlib. The mpl_toolkits.axisartist toolkit contains a custom Axes class that is meant to support curvilinear grids.